We teach you 'a system of good ideas' and demonstrate a set of practical skills, that you will be able to use immediately. We strive to make our courses highly practical, relevant and applicable to your work context. We confine ourselves to ideas, methods and techniques that are of practical value. We believe there are a definite set of 'Universal Success Principles' that are applicable to everyone and to every industry. These success principles are universally applicable because, no matter what your product or service, you need to gain the cooperation of other people. In order to succeed, you must succeed with people. Over the last 22 years, we have refined our methods of training, to a point of excellence. We believe you will find our courses very interesting, practical and exciting. 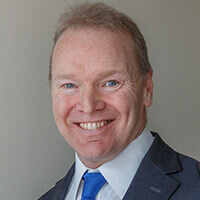 Chris Farmer is the founder of the Corporate Coach Group and has many years’ experience in training leaders and managers, in both the public and private sectors, to achieve their organisational goals, especially during tough economic times. He is also well aware of the disciplines and problems associated with running a business. Before setting up the Corporate Coach Group in 1997, Chris worked in commercial sales, before that Chris worked for social services, supporting people with learning disabilities. Prior to that, Chris was a Police officer for ten years, so he is keenly aware of the ethos of public service. Chris also worked in the merchant navy as a marine engineer, so he understands the demands of working in a heavy engineering context. Over the years, Chris has designed and delivered thousands of training programmes and has coached and motivated many management teams, groups and individuals. His training programmes are both structured and clear, designed to help delegates organise their thinking and, wherever necessary, to improve their techniques and skills. Chris is an experienced motivational speaker, who delivers talks at AGMs and corporate dinners. In his spare time Chris enjoys weight training in his gym, swimming, classical guitar and reading. Chris is also a proud father and husband. Lindsey is our Office Manager, who keeps us all organised. She is responsible for sales, marketing and event management. Lindsey regards her role as helping people with information about our training programmes and services. In her spare time Lindsey enjoys reading, baking cakes, running and going for walks with her dog Champ, who is frequent visitor to the office. Gezz is one of our main leadership and management trainers. Gezz is an enthusiastic and passionate individual, with a proven track record of innovative, situational leadership. He has had a successful career as a military medic with decades of experience. Gezz is excellent at leading and motivating and leading hard-working teams through the process of change. 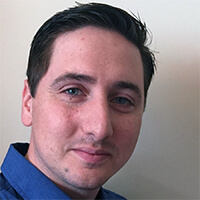 Gezz is able to bring a wealth of personal anecdotes to his training sessions, which provides his course delegates with practical examples of using the techniques he is delivering. 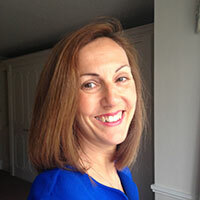 Alison is another of our key personal development trainers. 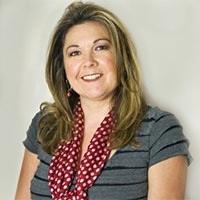 Alison worked for many years in the corporate world and is passionate about empowering people to improve their lives. Alison’s warm and caring attitude is always appreciated by our delegates, who often comment about how motivated they feel after attending her highly informative and helpful courses. Marco has worked in the educational development industry for the last 20 years. Marco was a serving police officer for 10 years in London, before moving to the Corporate Training world. He previously spent the last five years working with young adults and he achieved multiple awards for the improvements he has made in areas of education, behavioural management, conflict resolution, efficiency and positive emotional achievement. Over the years, Marco's enthusiasm, dedication and effectiveness have helped many delegates to go on and succeed in their targets, some of whom have gone on to win their own prestigious awards. Matt is our IT wizard who quickly and magically solves any technical problems. He is a Microsoft Certified Professional and he ensures that our website is up to date and secure. He designs our quizzes and codes our apps, including our popular WhatsNext? Prioritisation app. In his spare time Matt enjoys cooking, cycling, weight training and skiing. Deb is our Training Administrator who prepares the training material, sends out joining instructions to delegates, and orders any ILM certificates required. She also takes care of our social media and promotes our blogs and courses. Deb is a passionate gardener, genealogist and keen photographer, whose images have appeared in many publications and on websites. For many years, Stewart has been a leading specialist in the field of sales training, personal development and motivational sales training. Using NLP (Neuro Linguistic Programming) techniques, Stewart’s understanding of personal, business and organisational issues, together with his unique and inspirational style mean that his workshops are extremely informative, fun and powerful. John is an experienced former senior police officer (CID) and businessman. John identified the need for managers to be trained on how to gather and present evidence. The evidence might be for use in employment law, personal injury or other important cases. He integrated basic interview/people influencing techniques, into a range of practical courses aimed at providing "real-life" skills, which can be used in daily situations. Steve understands the challenges faced in the competitive sales environment. He has a proven track record of achieving optimistic sales targets and delivering results. Many companies spend huge sums on marketing which gets the customer to the door, then falling at the last hurdle because of poor sales technique. He believes that improving sales technique, through proper training, multiplies the effectiveness of marketing. 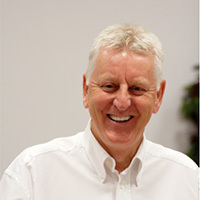 Robert is an experienced presenter and facilitator of management development programmes. 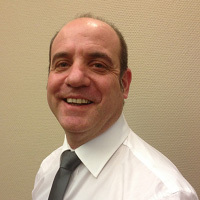 He has been involved in management training since 1994, following a successful career in retail and commercial banking. Robert specialises in finance training and has run courses throughout the UK, Western Europe and the Middle East.